Mona Jackson was celebrated with the “In the Company of Women” Award and the Pillars Award for Education from the Miami-Dade County Public Schools in 2006. MIAMI, FL, September 24, 2018 — Marquis Who's Who, the world's premier publisher of biographical profiles, is proud to present Mona Jackson, EdD, with the Albert Nelson Marquis Lifetime Achievement Award. An accomplished listee, Dr. Jackson celebrates many years' experience in her professional network, and has been noted for achievements, leadership qualities, and the credentials and successes she has accrued in her field. As in all Marquis Who's Who biographical volumes, individuals profiled are selected on the basis of current reference value. Factors such as position, noteworthy accomplishments, visibility, and prominence in a field are all taken into account during the selection process. Dr. Jackson began her career as a science teacher with the Miami-Dade County Public Schools in Miami, FL, from 1970 to 1974. She continued her career with the Miami-Dade County Public Schools as a science teacher and counselor from 1974 to 1975 and as a counselor from 1975 to 1982. During this time, she also served as curriculum coordinator for the Perrine Crime Prevention Program in Miami from 1979 to 1982. She maintained involvement with the Miami-Dade County Public Schools as an education specialist from 1982 to 1984 and project manager from 1984 to 1986. She was active as the middle school liaison principal for Miami Southridge Senior High School in Florida from 1995 to 1999, principal of Richmond Heights Middle School in Miami from 1997 to 2008, and mentor principal at Miami Edison Senior High School in Florida from 2008 to 2009. Dr. Jackson has been assistant principal of the Miami-Dade County Public Schools since 1986. In addition to her career, Dr. Jackson is the author of “Focus on Careers,” published in 1984, and co-author of “Candlelights for the Middle School Student's World” in 2002. She was secretary and member of the board of directors for the Haitian Refugee Center in Miami from 1983 to 1985 and president of the Miami-Dade chapter of the Sickle Cell Disease Association of America from 1983 to 1986. She has held the position of president of the Episcopal Church Women of the Episcopal Diocese of Southeast Florida, and from 1984 to 1986, she served as secretary and vestry for the Christ Episcopal Church. In 2006, Dr. Jackson presented the lecture “Gender Differences in Principal Motivations” at the National Conference of the American Educational Research Association in Chicago, IL. Prior to embarking on her career, Dr. Jackson obtained a Bachelor of Science from the Florida Agricultural and Mechanical University in Tallahassee in 1969. Following this accomplishment, she earned a Master of Education from Florida Atlantic University in Boca Raton in 1973. She concluded her education with a Doctor of Education from Florida International University in Miami in 2005. Dr. Jackson is also a certified teacher in the state of Florida. Dr. Jackson is a member of Women Involved Now, the Florida Association of Science Teachers and Phi Delta Kappa. 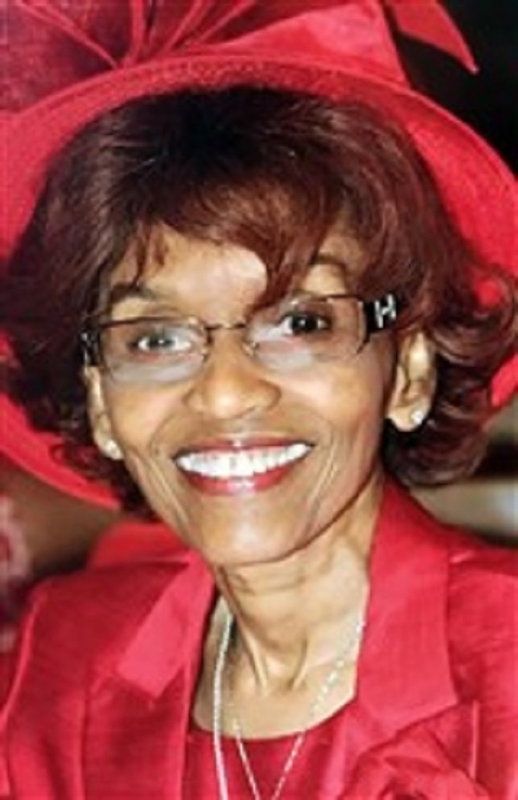 She held the role of president of the Beta Alpha chapter of Delta Sigma Theta from 1967 to 1968 and the Miami chapter of Delta Sigma Theta from 1976 to 1980. From 1983 to 1984, she was active as the president of the Dade County Personnel and Guidance Association. Dr. Jackson contributed to the Florida Counseling Association as president-elect from 1985 to 1986 and convention executive and president from 1986 to 1987. Dr. Jackson was named Teacher of the Year by the Charles R. Drew Middle School in 1972. She was awarded a plaque from the Miami-Dade chapter of the Sickle Cell Disease Association of America in 1981, the Dade County Personnel and Guidance Association in 1984, and the Florida Counseling Association in 1985. In 1996 and 2003, Dr. Jackson was honored as Middle School Administrator of the Year and she was cited as Principal of the Year by Access Center Six from 2002 to 2003 and Principal of the Year First Runner-Up by the Miami-Dade County Public Schools in 2003. Dr. Jackson was the recipient of the Principal Achievement Award from the Dade School Counselor Association in 2003. The Miami-Dade County Council PTA/PTSA also presented her with the Bell Award and named her Principal of the Year in 2005. She was celebrated with the “In the Company of Women” Award and the Pillars Award for Education from the Miami-Dade County Public Schools in 2006 and the Award in Education from the Louie Bing Athletic Scholarship Fund, Inc., in 2009. Dr. Jackson has previously been selected for inclusion in multiple editions of Who's Who in the South and Southwest and Who's Who of American Women. In recognition of outstanding contributions to her profession and the Marquis Who's Who community, Dr. Jackson has been featured on the Albert Nelson Marquis Lifetime Achievement website. Please visit www.ltachievers.com for more information about this honor.